The year 2018 is rapidly drawing to a close. I would like to share my reflections on some key achievements during this year. There has been further assessment of our progress and gaps in the response through the evaluation of the Caribbean Regional Strategic Framework on HIV and AIDS 2014-2018 and the mid-term evaluation of the CARICOM-PANCAP and UNDP-CVC-COIN Global Fund projects. These assessments will be used to inform the development of the new CRSF and adjustment to Global Fund grant activities to achieve the desired outcomes. PANCAP continued to make its presence felt, expand knowledge sharing and communicate its added value to the region through its Knowledge for Health Project. A key output of the PANCAP component of the CARIFORUM 10th European Development Fund was a position paper on the human rights situation in the region, which brought together the achievements, gaps, and challenges in one document while highlighting the critical need for justice system reform as a means of increasing key populations’ access to justice. A Framework for Migrant Health and Rights was developed to serve as a pragmatic approach to migrant populations, which recognizes that a non-discriminatory strategy for public health benefits the entire population. The Framework is rationalized with the vision of regionalism under the CSME and sets out guiding principles and recommended strategies for regional and national action. It was endorsed by the 35th COHSOD – Ministers of Health and operationalization will begin in 2019. Our youth have been engaging in high-level advocacy with ministers of health and education around issues of sexual and reproductive health and rights. There has been joint dialogue between faith leaders and other groups including key populations, youth, NAP managers and civil society leaders. These engagements are aimed at increasing youth’s access to SRH services, integration of comprehensive sexuality education and development and implementation of gender-inclusive policies and integration of comprehensive sexuality education into the Health and Family Life Education curriculum, as well as the adoption of CARICOM Anti-Discrimination Legislation by countries. We continue to engage in dialogue regarding the judgmental attitudes towards LGBTI persons and justice for key populations following the Trinidad and Tobago High Court Ruling that the Buggery Law is unconstitutional and the Caribbean Court of Justice (CCJ) Ruling that Guyana’s Crossdressing law is unconstitutional. We have seen greater ownership of the Partnership by its members through shared responsibility. While external funding is steadily declining, donors are supporting the region to transition responsibly. The Partnership was supported by USAID-Abt Associates Health Finance and Governance Project to revise the PANCAP Resource Mobilisation Strategy and Plan 2018-2020 to garner resources to support the achievement of regional goals and targets articulated in the Caribbean Regional Strategic Framework on HIV and AIDS. PANCAP-CVC-COIN joined forces to submit a proposal to the Global Fund in the amount of US$6.5 million over three years. The consortium has been requested to proceed to grantmaking following the Technical Review Panel’s approval. PEPFAR-USAID approved another year of funding for the fiscal year 2019 to support PANCAP’s coordination function and the PEPFAR-USAID funded Knowledge for Health Project also received an extension to 2019. UNAIDS committed financial resources to support the documentation function of PANCAP. The Caribbean Med Labs Foundation (CMLF) celebrated its 10th Anniversary in August and has recommitted to providing the leadership required for laboratory strengthening in the region. CRN+ convened its Biannual General Meeting and elected a new Board of Directors to provide the oversight for its work. The Regional Monitoring and Evaluation (M&E) Technical Working Group broadened its mandate beyond HIV to include the M&E for the Caribbean Cooperation in Health IV. Under the CARICOM-PANCAP Global Fund Grant, PANCAP continued sensitization of the CARICOM Secretariat on the linkages between HIV, human rights and social development programmes and identified opportunities for collaboration during the annual work programme planning at the Secretariat. This is beginning to bear fruit as evidenced by the joint activity between the PANCAP Coordinating Unit and the Gender Unit to commemorate the Launch of the World AIDS Day 2018 theme and 16 Days of Activism to end Gender-based Violence. 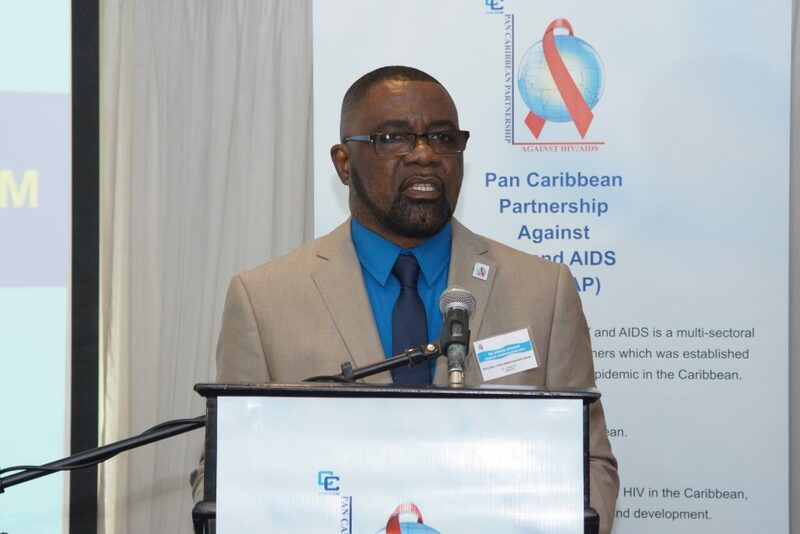 In 2019 the Partnership will develop a new Caribbean Regional Strategic Framework for HIV and AIDS that is informed by the CRSF 2014-2018 evaluation, implement the PANCAP Resource Mobilisation Plan, and leverage the comparative advantage of development partners for transition and sustainability of both national and regional responses. I take this opportunity to thank the staff of the PANCAP Coordinating Unit for their stellar performance and unwavering support for the work of the Partnership. I wish the Partnership a Blessed and Peaceful Christmas.